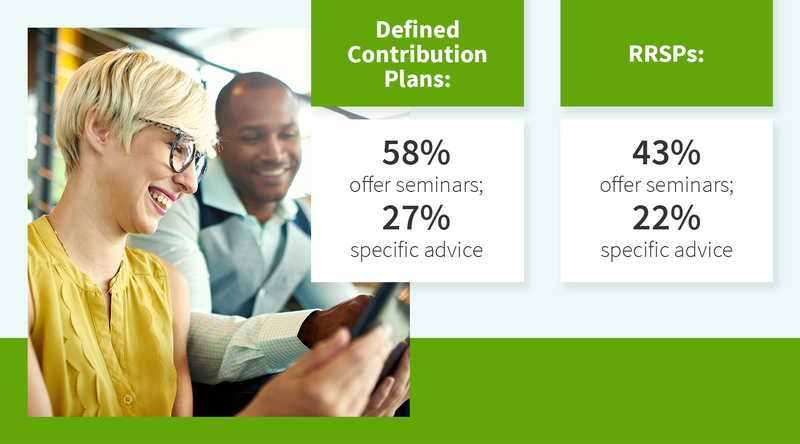 Sponsored by Great-West Life, the 2016 CAP Benchmark Report provides employers with Canadian benchmark data and strategies to help employers improve employees’ retirement savings. Winnipeg, MB, Feb. 15, 2017…Fifty-seven per cent of defined contribution (DC) plan sponsors and 61 per cent of group registered retirement savings plan (RRSP) sponsors say they provide their members with access to professional financial advice, according to the 2016 Capital Accumulation Plan (CAP) Benchmark Report, entitled Forecasting the future of group retirement plans. The report found a gap remains between large and small sponsors providing advice. Sixty-three per cent of sponsors with fewer than 499 employees provide advice, while only 52 per cent of sponsors with more than 500 employees do. It may not always be feasible for larger sponsors to offer the in-person services of an advisor, so “they may look toward their provider to offer member education and support,” adds van Staden.